Replacing the windows on your home is a big job that can potentially come with a high price tag. If your windows are starting to show their age, you may be trying to decide whether or not it’s time to make the investment in new ones. Here’s what you should be looking out for and considering when it comes to window replacement in McCall. If your windows are drafty, won’t open, or won’t stay open, you may be able to get by with some repairs. Broken glass can be replaced, and windows that are painted shut can be freed up. And of course, peeling or chipping paint can be refinished to look like new. If you have a historic home with beautiful windows, it may be worth investing in repairs to maintain the character of your home. Original wood windows are an appealing architectural detail of many older homes. It could be worth the repair costs to have them refinished instead of replaced. If you don’t live in a historic home and are having problems with your windows, it may be time to replace them. If the window sash or frame is broken, damaged or warped, a replacement may be your best option. Do your windows fog between the glass panes, or is the wood around the window rotting? Are they impossible to open and even harder to keep clean? These could all be indications that it’s time for new windows. If you are considering listing your home this winter you may want to consult an agent about the benefits of replacing or repairing some windows. Some homeowners may decide to replace their windows in order to make the home more energy efficient. Older, single pane windows don’t protect as much against the elements, especially if there are cracks or leaks. 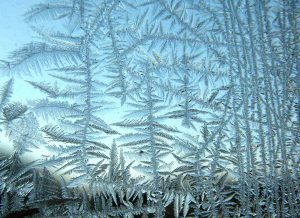 In fact, drafty windows can cause your energy bills to be up to 25 percent higher in the colder months. New windows are designed to be much more energy efficient than older models. And if you’re preparing to sell your home, those new energy efficient windows could be a big selling point. If you’re unsure whether or not you should replace your windows before listing your home for sale, talk with your agent. One of the biggest factors in determining whether or not to repair or replace your windows is, of course, cost. While the cost of the new windows will be largely determined by what type you purchase and whether or not they include green features, you can expect to send at least a few thousand dollars. Standard windows generally cost approximately $600 per window. With upgrades, you can expect that figure to be closer to $1,000 – or more. A typical single-family home has about 10 windows, so you can expect to pay up to $10,000 or more to replace all the windows on your home. In the end, you’ll need to examine your current windows, crunch the numbers and decide whether or not it’s time to replace them. By having the facts in hand and knowing what to expect, you can make a more informed decision that you’ll feel comfortable with.